Until now, we were aware that the Supreme Intelligence, Parabrahma was the only manifestation out of the void, who came out as a huge ocean of Light. He further diversified and created innumerable worlds, dimensions, galaxies, stars, earths and a varied life on these earths. This was the known universe, an immensely vast existence in space-time, which the Rishis could grasp in their deep states of Samadhi. When they looked beyond the Known Universe and stepped into the Unknown, they found many other oceans of Light like ParaBrahma, which had expressed themselves from the Unmanifested worlds and given rise to further manifestations. The Rishis under the guidance of Vishwamitra Maharshi have identified Twenty such Manifestations so far, which have come out of the Unmanifested Universes. Some of them have been known to the Rishis from many cycles but this knowledge was lost when Humanity went through the dark ages. And a few Universes were discovered recently. This article is a brief introduction to each of these Twenty Manifested Universes. Para Brahma is the first Universe to have manifested out of the Unmanifested worlds. It emerged from the 108th Unmanifested Universe, the Avyakta Brahman, and has expressed its potential to the maximum and diversified the most out of all the 20 known Manifestations. This Universe is spherical in shape and has a multitude of layers, each with distinct characteristics. This is the Universe where we exist, now and here, as you read these words. An introduction to this Manifestation has been dealt with in the article: Creation Part 1. More about the diversity in this Universe will be explained in the future articles in this series. This universe manifested from the second Unmanifested Universe, the Adi Brahman. Prakasha Brahma has been influencing our Creation from many cycles, but His influence has been most predominant only from this cycle. The pure energies of this Universe helps in the transformation and spiritual growth of all individuals in our Universe. The Ra energy is 10,000 million times more powerful than the energies of Para Brahma. 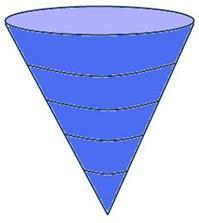 This Universe is in the shape of a Cone and has five main layers. The first layer has no name. The second layer is called ‘Ra’, the third ‘Ma’, the fourth ‘Na’ and the fifth layer as ‘Sa’. Each of these layers have 1580 types of energies. All of them are unique and have very different characteristics. Prakasha Brahma is filled mainly with blue energies. It is also made up of Golden, White and a little pink coloured energies. The matter of this universe is called as Prakananda. There are many Souls in Prakasha Brahma. These Souls will be taking birth in ParaBrahma’s manifestation for the first time. This Universe does not have any further manifestation. The energies from this Universe will have a major influence on our Earth from the Light Age onwards. These energies are pure and help us to make very fast spiritual growth. With the help of these energies all our natural faculties like Telepathy, materialisation and dematerialisation, absorbing pranic energies, linking directly to God and many more open up and become active. Even the Higher Intelligences around us like the ‘Second Sun’ and the ‘Photon belt’, from which we are receiving energies, are absorbing more of these energies, and through these Intelligences, the Ra energies will influence life on our Earth. This Universe is ellipsoidal in shape. He manifested out of a combination of the Light from Mula Brahman, Para Brahma and Chatrumukha Brahma (the creator). This Universe is made up of pure blue Light, with traces of dark red and Golden Energies. It is smaller than Parabrahma. The energies from this Universe help to understand the other Manifested and Unmanifested universes. The gadgets and energies from this Universe help us to go into dimensions of no time and yet return safely without losing our way. These energies are tough and aggressive in nature. They act very quickly, and the observation so far is that accommodation and forgiveness are not part of its characteristics. There are no layers or divisions in this Universe. But the Rishis discovered that there are a lot of interconnecting tunnel like structures inside, which help in storing and channelling Energies. There are no further manifestations in this Universe. This Universe is named after a great Rishi – Mangal Brahman Maharshi. It manifested from the 98th Unmanifested Universe — the Mangal Moola Prakasha Avyakta Brahman. The Energies of this Univrese are deep red in colour. They are very very pure. We will be destroyed even if a trace of negativity is present in us, when we take those energies. There is a lot of knowledge about Music present in Mangal Brahma. The knowledge that so far exists in Parabrahma’s creation is only about 1%. The remaining 99% of the knowledge exists in Mangal Brahma. Mangal energies are used mainly for material purposes and sometimes for healing. With the help of these energies we will be able to overcome all diseases, even diseases like Aids. No further manifestations have so far been identified in this Universe. This Universe manifested from Mula Brahman and is cylindrical in shape. It is one of the most complicated of all the Universes that have manifested so far. It has three main layers. The first one is made of Dark pink energies, the second, regular pink, and the third, baby pink coloured energies. The very nature of this Universe is Love. It radiates this Love to all the Manifested Universes. The energies of this Universe do all that Love does: they comfort, energise and heal. There are no further manifestations here. Kanva Maharshi who’s mentioned in the Puranas is from this Universe. He is the master who shared the maximum knowledge about Love with Humanity. He was created with the combination of Light from Mula Brahman and Dvitiya Brahma Loka. This Universe manifested from Mula Brahman and it consists of two turns of clockwise spirals inside a cylindrical structure. The spiral have seven turns in the clockwise direction. It is full of green coloured Light, with Parrot green coloured energies being more prominent. When we have more of these energies, humility will emanate and glow from us. We will be able to sit longer in our meditations. We also use the energies from this Universe for healing. Just as White represents truth and purity, Green energies of this Universe represents total surrender. So total surrender becomes very easy when we have these energies in us. Experiencing Paripoorna Samadhi is very easy when we have a lot of these energies. And entering into the Unmanifested Universes is easy from this Loka. There are no further manifestations here. This Universe manifested from Mula Brahman. It is made up of violet coloured energies. The shape of this Loka is a combination of the shapes from all other neighbouring Universes. 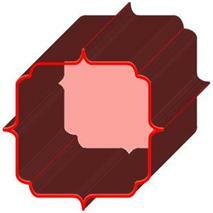 Vishwamitra Maharshi had to put a lot of effort to understand this shape. On the top, this Universal is partly spherical (like Parabrahma), then pyramidal (Vignana Brahma), then spiral (Aprupa Brahma), then ellipsoidal (Brahma Mula Vastu Universe), and finally Mangal shape (Mangal Brahma). The energies from this Loka are very pure and have only the positive qualities in them. Apoorva Brahma’s energies are also purer than those from Prakasha Brahma. We will be using a lot of these energies in the Light Age. Energies from this Loka help in sharpening our Intuition. They help us to sail through the Pralaya period smoothly. They also help us enjoy the process of becoming a Light Body. More details of this Loka are still being understood by the Rishis. There are no further manifestations here. This Universe manifested from Sama Brahman, the first Unmanifested Universe. It is situated close to Aproopa Brahma and Apurva Brahma. Hence it has many characteristics similar to that of these Universes. This Universe has a lot of Intelligence in it and engages itself in many creative activities. 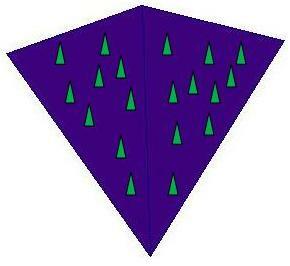 While the outer shape of this universe is an Inverted Pyramid, there are many conical areas inside. 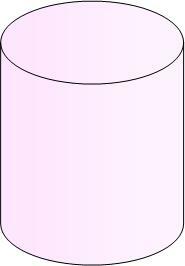 More than having any layers, this manifestation has these conical structures, each with unique characteristics. There are about One Lakh such conical structures in this Universe. 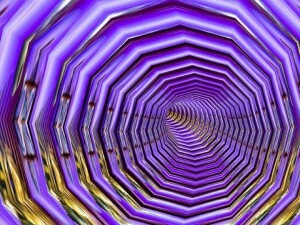 This Universe has a predominance of a bluish-violet and dark green energies – the entire pyramidal manifestation is bluish-violet and the conical structures are filled with dark green energies. The Violet Energies are related to Intelligence while the Green energies are creative in nature. The energies from this Universe will help us in doing more creative activity. New Souls taking birth on our Earth are being pumped with these energies. This Universe also has many Souls in it. They will take birth on our Earth in the New Age. This Universe has manifested a Cosmos, but it is still in the process of creation and is presently filled with lot of dust and crude particles. The Cosmos doesn’t yet have any life in it. Vignana Brahma will begin to influence our Earth once the Light Age gets fully established. Ujjvala means Radiant. This Universe is the brightest amongst all the Universes that have manifested. It also has a lot of characteristics of Prakasha Brahma. Hence the full name of this Universe is Ujjvala Prakasha Brahma. This Universe manifested from Ardhena Brahman. The main reason for its radiance is that this Universe is very porous in nature, which causes the Light to continuously reflect from within. When Rishis tried to understand the reason for the formation of so many pores they discovered that the Universe has a lot of Gold particles which resulted in these porous formations. 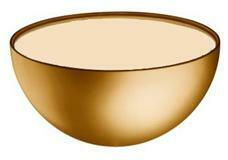 Ujjvala Prakasha Brahma has three main colours of energies – bright and dark Gold, a tinge of Light Blue and dark Violet. The specialty of this Loka is the special Golden energies. Rishis say that this is the only manifestation that has these energies. The energies of this Universe can be used for healing. Due to the brightness of the Universe, the dark forces will not be able to handle these energies. Rishis may use these energies in their battle against them. This Universe has manifested from Ardhena Brahman, the twin of the second Unmanifested Universe, Adi Brahman. 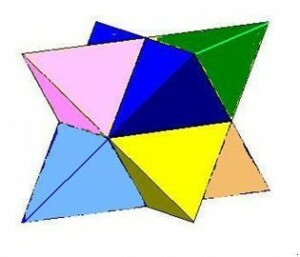 The shape is a perfect hemisphere. There are no further manifestations in this Loka. This Universe manifested directly from Mula Brahman. It can help us connect directly to different dimensions of Mula Brahman. When observed from outside, this Universe looks like a sphere with a lot of tentacle like projections coming out in all directions. 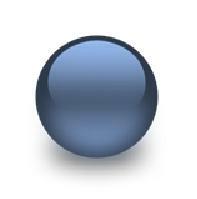 But the sphere is not perfect and is of a very loose shape. It’s also very porous in nature. Vig-graha means unique. 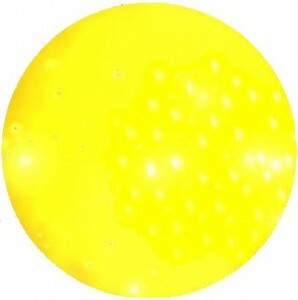 The energies present here are very unique and cannot easily be classified based on their colours. The main observable colours are deep orange, blood red, soft green, light pink and a few shades of brown. This world contains many unique and unknown gases. 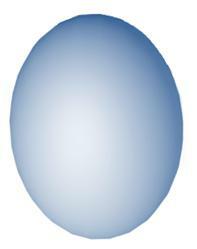 There are a total of ten layers inside, and all these layers are shaped in the form of ∞ (infinity). Each of these layers is connected to a different dimension of Mula Brahman. This Universe was manifested more like an experiment. There are no Souls in it and it is unfit for Life. It also does not have any further manifestations. This Universe manifested from the 42nd Unmanifested Universe – Niranjaneya Prakasha Tejas Avyakta Brahman. It has a lot of energies of humor and laughter in it. 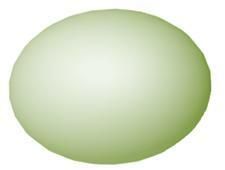 This spherical Universe is similar in shape and size to Parabrahma. It mainly has navy blue coloured energies. The specialty of these energies is that they can co-exist with almost all the other energies. So far the Rishis haven’t discovered any layers or divisions in this Universe. This Universe is exerting a lot of influence on our Creation. The energies help us to express happiness from within, open up more and bring out more of our positive characteristics. The Rishis say that whenever we are depressed or mentally feeling lost and directionless, we can tap into these energies, which will help us come out of those states. The energies also help us get healed for many of the issues present at the mental level. We have to link up to this Universe with Love and Surrender. This Universe has manifested one Cosmos. The Rishis have discovered that this Cosmos is presently being taken care of by ParaBrahma. This Universe which manifested from Sama Brahman, is one of the youngest amongst the first 16 Manifested Universes. 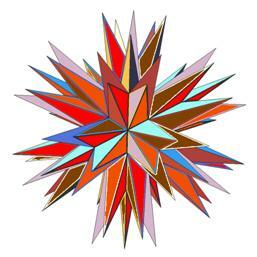 It is in the shape of a star-tetrahedron and the specialty of this Universe is its multi-coloured energies. This Universe also manifests new diversities that are not found anywhere else. The Rishis are still studying to understand these diversities. This Universe has no layers, but Rishis are able to discover many many dimensions within. The exact number of dimensions is not yet known. Rishis say that Prakruti not only means ‘nature’ but also ‘multi-coloured’. 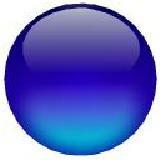 This Universe has six prominent colours – dark Blue, dark Green, Golden, Pink, light Blue and Orange. The energies vibrate specific characteristics – Happiness (dark Blue), Healing (dark Green), Positivity (light Blue), and Love (Pink). The golden energies influence ParaBrahma and His creation. Rishis are yet to understand the role of orange energies. This Universe has a lot of influence on our Creation. It influences all the Brahmandas and Rishis have observed that many stars in our creation have energies from this Universe. So far, no further manifestation has been discovered in this Universe. This Universe, which manifested from Mula Brahman is quite unique, as it emanates a lot of sound vibrations. Also though being a manifested Universe, it still has many characteristics of an Unmanifested Universe. This Universe is made up of only Pristine White energies. The Stunning discovery was that the basic music harmonics of Sa, Re Ga, Ma Pa, Da,Ne (Do, Re, Me, Fa, So, La. Ti in western classical) emanate from this Universe. The Rishis say that Goddess Saraswati and Lord Brahma carry a lot of energies from this Universe. They also say that the energies from this Universe has helped the knowledge of music descend into our creation. A very vast manifestation consisting of many cosmoses manifested from Him. Many Rishis are now inside this Universe to understand more about it. Due to its nature, the Rishis also call this Universe as the “Musical Universe”. These two Universes are twins and have similar characteristics. These two Universes manifested from the 69th layer of Unmanifested Universe – Cheena Avyakta Brahman and are considered to be the dark Universes. The Rishis have not explored them. The few characteristics known about these two Universes are that they are very small in size and do not have any layers. They have only black and red coloured energies and these energies can be used for destruction. This Universe manifested from Satya Mula Brahman. This is again a Universe that contains only blue Light. It is very active now and the energies from this Universe are present in our Creation. So far, no further manifestation has been discovered in it. The speciality of this Universe is that it has a direct pathway to Mula Brahman. Rishis say that by linking to Neela Brahma, a lot of new knowledge about higher realities can be brought down. The blue energies from this Universe are now available on our Earth. They are working in tandem with the Ra energies. These energies are helping to heal Mother Earth and also helping the Photon Belt to strengthen its energy field. The new Akashic Records contain a lot of Neela Brahma’s energies. These energies help us to heal our body. If we regularly take in these energies, we become much stronger and fit. They also help us in attaining purity which leads to us becoming a Light Body. Teleportation is easier and possible with these energies. Vishwamitra Maharshi says that Neela Brahma is filled only with Compassion, Love, Peace, Divinity and a lot of Softness. Neela Brahma is very curious about our Mother Earth and wants to help her in all possible ways. These two Universes are again twin Universes. They both have manifested with the combination of Light from Satya Mula Brahman and Neela Brahma. These were very recently manifested from Satya Mula Brahman and discovered by Rishis only in June 2010. Both these Universes are in the shape of a peanut. They are still in their infancy, with layers and further manifestations yet to be created. Nirmula Satya Prakasha Brahma is filled only with Pink coloured energies, while Nirmala Satya Prakasha Brahma is filled only with Violet Energies. Nirmala means pleasant and peaceful. These energies always help us be pleasant and peaceful. A lot of exploration is still going on to understand more about these Universes. This Universe has been manifested recently by Satya Mula Brahman. It is filled with Blue coloured energies. When observed, they look like scattered clouds. The Rishis are yet to understand the characteristics of this Universe. This Universe was manifested so that newer energies can be given to the stars and galaxies. This Universe was manifested only recently by Satya Mula Brahman, to assist other sentient beings rather than to manifest Souls and bring out newer creation. 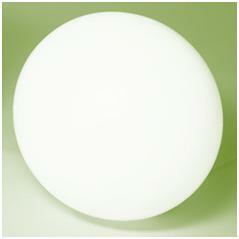 It is full of green Light and the characteristic of these green energies is creativity. This is the brightest of the Universes manifested from Satya Mula Brahman. Many Rishis travelled to these Universes recently and brought down a lot of new knowledge and energies. Like the Unmanifested Universes, these Manifested Universes also exert important influences on our creation in general and on our earth in particular. Especially, the energies from Ra Universe and Neela Brahma Loka play a pivotal role in removing all negativity on our Earth, thus assisting us in ascending into the Light Age. These energies can help us in our next step of spiritual evolution, in opening up our faculties, in transmuting our bodies to Light bodies and in attaining unblemished purity. As we move into the New Age of Light, we will be able to open up to the energies and influence of these Universes. For that, the Awareness of the existence of these Universes is the first step. In the future articles in this series, we will explore each of these Universes in detail, beginning with our Cosmos, the ParaBrahma Loka. The first image was designed by Mericiana Howard. i am totally awestruck reading this! i want to ask, that the influence of the other universes is active on all lokas of our universe irrespective of time cycle or the influence depends on the Yugas? The influence of the other Universes will depend on the Yugas. Now, as we are entering the New Age, their influence has begun. This is the reason that this new knowledge has been revealed by the Rishis now. Great to know about the manifested universes. As it is said, the RA universe and Neela Brahma Loka play a important role in leading us to sat yuga, how can one get blessed by these universes and enjoy its energies. Does it happen automatically or is there any special ways to get influenced by those divine energies? We can consciously link up and communicate with these God’s. All that is required from us is to approach them with love, to be open and to surrender. The other part is that as we grow spiritually, it is an automatic process. Namastey and my heartfull thanks for these informations. Just bcoz of God’s grace and mercy , i got chances to visit in some of the above mentioned lokas(Universes). And I felt like my soul melting like an ice and is going to be one with that Loka. And felt like my soul crying due to enormous happiness after hearing that single note of music. I think if I experianced a symphony of music there , then my soul will not be there , it dissolves and become one with that Universe due to that infinite happiness.